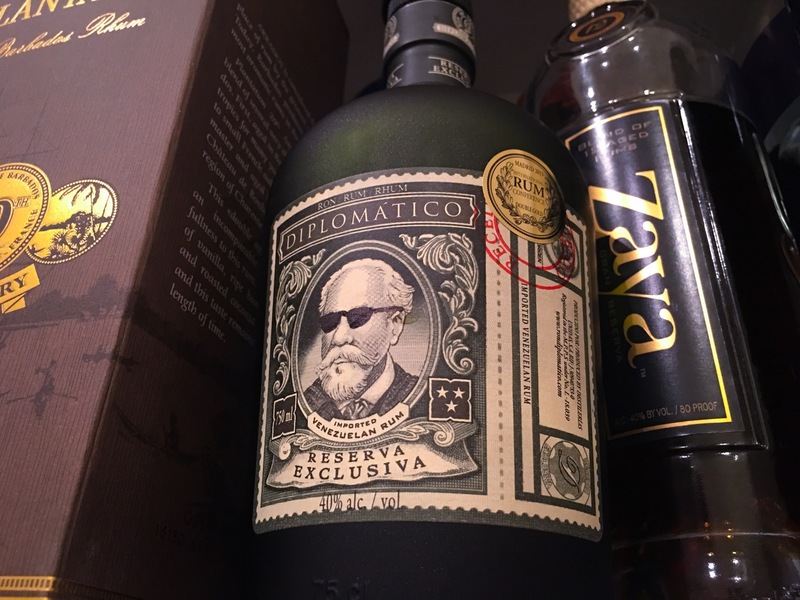 Have you found an online vendor selling Diplomatico Reserva Exclusiva? Diplomatico Reserva Exclusiva rum is distilled from molassis in copper pot stills and then aged in small oak casks for on average 12 years before being bottled. Produced in Venezuela, which has a rich rum history dating to 1896, the Diplomatico Reserva Exclusiva distillery is located on the northern slopes of the Andes mountains. This (diplomatic Reserva Exclusive), Ron Zacapa Solera and now Rumson's Grand Reserve are my favorite sipping rums. Diplomatic is full bodied and perhaps a bit warmer then the other too, but great flavor and a fantastic sipper. I prefer Rumson's Grand Reserve, but Diplomatico is very good and I rotate the three. The Diplomatico was my first Rum many years ago ,and i love him until today. 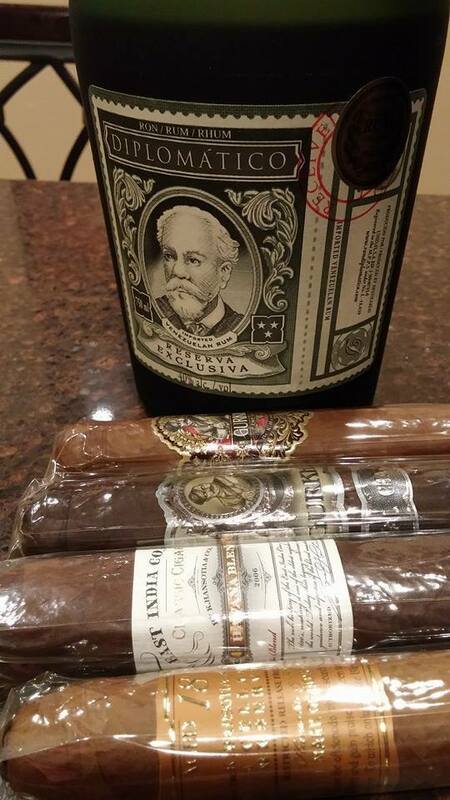 the Diplomatico Reserva Exclusiva before 2012 was a little bit better . So far, this is my absolute favorite rum. You don't need ice to mellow it out, it has almost no burn, but still full of flavor. I wouldn't dare put this in a cocktail or with coke, it would be a disgrace to do that. It is extremely smooth. Diplomatico RE was my first sipping rum. Couldn't have chosen a better one to start with. Being new to the rum review game, I won't try to use fancy lingo like flavor notes, legs or complexity. I will just say that it smells and tastes like sweet deliciousness with a subtle burn. Drinking it neat is the way to go. Ice and water takes away from that creamy goodness and mixing hides that great flavor. I have graduated to less sweet rums but this will always stay in heavy rotation at my house. At around $35 USD (01/2016), this is a must have. I've tried hundreds of rums, and have I've 75 different types in my cellar at home. I have 4 cases of this. It's that fantastic. Rich and creamy, heavy caramel and toffee, without being overwhelmed with hard oak. This is the epitome of rum, the gold standard by which all others are judged. Superb! Diplomatic RE is an excellent sipping rum. Sweet enough but not quite as much as Zaya . Buttery caramel flavor with the smoky burnt oak misting through. I can sip a good glass of rum for two hours. Add a twist of lime and try that with this rum. Let me know if after about 30 to 45 minutes you , you don't find the nose has evolved to a different rum. All in a good way. If it were not more expensive than Zaya, it would also be a 10 but I have to say 9. Nose: Big caramel, toffee, butterscotch (you get the idea). Vanilla and dark fruits, maybe some orange skin. Tiny prickle of spice from the oak. The combination is not complex but it is certainly very hedonistic. Palate: Big caramel, toffee, butterscotch. Vanilla and dark fruits......oh wait. Nose, taste and repeat. Very viscous and mouth-coating, actually quite cloying. Yep, it's a liqueur. Delicious though. Finish: Actually surprisingly long, didn't expect that. Lashings of vanilla and a bit of oaky bitterness but I get the impression that the finish is just there because my mouth is still coated with the sticky rum and I'm still getting "palate" and not an actual "finish". Wow, this is like sweet, rum-flavored pancake syrup. Based on the reviews here, I went out and bought a bottle ($40), and was hoping to discover a new favorite sipping rum. It never happened. From the first sip, I was like.."huh?" My background is, I have dietary restrictions and don't drink soda or eat a lot of candy (sugar) or sugary drinks or food, even. So maybe my tolerance for sugar is low, who knows. But this stuff is cloyingly sweet, the aftertaste is similar to that of having eaten hard candy. You can taste this sickly sweet residue in your mouth for long afterwards. Don't get me wrong, it's not "bad" rum, it's sweet and slightly pleasant, but for a rum purist, it's horrible. I can't believe I just blew $40 on this bottle of rum-flavored syrup. It also has a strong scent of vanilla, no doubt added. Like I said, it's not rum, it's a liqueur. It has a nice burn down the throat, but the sticky sweetness is horrible for me, and it makes me want to brush my teeth. Sorry guys, I'm voting against the grain on this one. 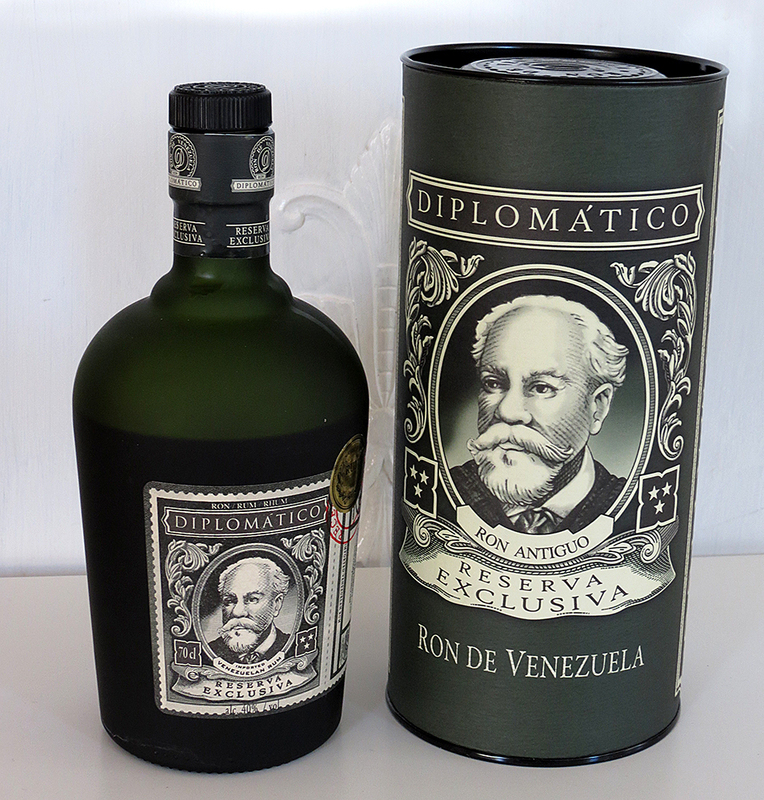 Diplomático Reserva Exclusiva comes in a nice bottle and the rum is delivered in a nice tube (as in the picture). The smell is very sweet with lots of caramel, cacao and vanilla. In mouth this rum is very velvety with a small hint of spice at the end. The taste is full of vanilla, cacao and orange. The finish is long, mild and sweet with a little bit of spice. This rum was unbelievably great for sipping. I was fearful that it would be a bit too sweet after reading a few reviews and giving it a smell, but it ended up being extremely well balanced and smooth all the way through. There are rich sweet caramel/molasses aromas followed quickly by oak and smoky notes. The taste is very similar to the smell with sweet caramel at first, hints of vanilla, and then small oak notes. It is very smooth all the way through with no harshness whatsoever. This is like a desert, but not too sweet. One of my new absolute favorites. For people who like sweet rums, this one should be a winner! The Diplomatico Réserva Exclusiva is a very sweet aged rum from Venezuela, which brings out his fruit and spiced notes without being strong at all in the throat. It's just too sweet for me. Rums by their nature will tend to have a sweeter note, but this is playing to a crowd that wants liquid candy in their mouth. I'm currently experimenting with drier and spicier rums to mix it with in order to try and bring some semblance of balance. I love the long thin slow legs that appear above the golden brown swirl in the glass. As I bring the glass to my nose there is the reward of soft vanilla and a tinge of cocoa and molasses to tempt my taste buds. I find the sweetness a delightful accompaniment to the report of spices from my olfactory senses. The burn is gentle as the golden brown goodness rolls around the sides of my tongue and down the throat. A delightful sipping experience. Excellent rum in a lot of ways with a deep toffee aroma. A very sweet and round caramel palate, with a hint of vanilla. Enjoyable as a dessert after dinner. In the long run I find it way to sweet for a regular sipping though. So it was (one of) the fist of my aged rums, and it's why I love them that much. As I don't taste it from long time I'm normally objective on this ratting (and I'm more interested on some Bourbon now ;p ). A nice smell of mixed vanillia and caramel and a bit spicy, who remember me the Rooibos (false tea). On the mouth the same flavor is present but more stonguer, giving a round and sweat rum, with a bit of astringent and a long sweet caramel/vanillia finish. Realy a nice and good rum for everyone. A great first choice for start aged rum. I like rum, and I like it straight. Diplomatico Reserva Exclusiva has that wonderful taste a sipping rum should have. It's smooth, tasty and has a nice little bite in exactly the right proportions. Without any overpowering flavors like so many other high end rums. Bottom line, it's absolutely wonderful. I've never found anything better, regardless of price. My first foray into more premium rums and I was blown away. Beautifully sweet but not overpowering, smooth and perfect for sipping. On a recent holiday to Keffalonia I spied a bottle behind the bar and asked for a glass (a Greek single is like a UK triple 👌) the owner was stunned I knew it and went on to tell me all the awards it's won and that UK guests don't know what it is... I drank the whole bottle that week and started the next one reminding me how easy it is to drink. What's more, at the price point it is exceptional value and easily matches or outstrips more expensive rums I've had. A lot of people will complain about the sweetness of this rum, or say it's not a "good rum" because it was sweetened after distilling. I'm not one of those people. I don't think that pouring a snifter of spirits should represent an endurance event. I want to enjoy it - and I definitely enjoyed this one. On the nose, I got butter, brown sugar and a hint of pinapple. I tasted caramel, vanilla, walnut and nutmeg with a hint of orange. Very little astringent burn on the tongue, and warm going down. A very nice rum. I purchased this based on many reviews I had read online a few years ago. Boy it did NOT disappoint! In fact, at the time, it was the smoothest, tastiest rum I had ever had! Beautiful bottle that is frosted green with what appears to be a currency for the label. It looks great sitting on my or any bar. The nose is pleasant with vanilla and honey. The color in the glass is a fantastic rich cognac color. In the mouth, mild spiciness, wood, nuts and vanilla. Clean finish. Definitely a sipping rum and should be in your stash without question. Very nice avec, but I wouldn't place it near the top choices. It's fairly sweet and rich in both nose and palate. Vanilla tones, fuits, bitter orange and all around a classic rum. Just some fruits, some little spice, too sweet (probably a lot of added sugar). Don't chose it if you want to find a true rum. It's sweet and slightly pleasant, but this is not a rum but a liqueur. There is lots off added sugar and it also has a strong taste of vanilla, no doubt added. Notas de vainilla, café, avellanas. Chuť: Mísí se zde krásná uhlazenost a jemnost v tom nejlepším slova smyslu s jemnou štiplavostí, vyzrálostí dřeva a medovou sladkostí. Shrnutí: Hlavně v chuti si mě získal, hodně sympatický reprezentant Venezuely. "This rum has a nice dark color..."
"My first Venezuelan rum review is of Diplomatico..."